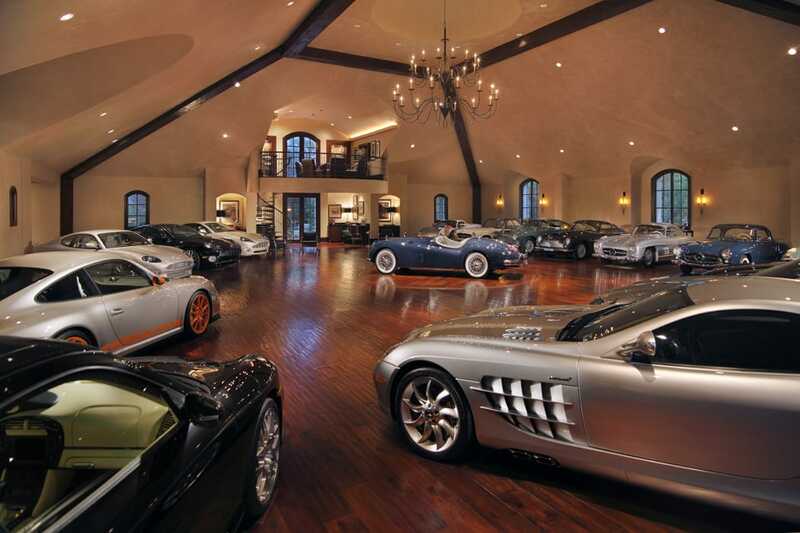 Most people with a collection may have a shelf in the den for their commemorative plates or unicorn figurines, but one Houston-area homeowner wanted a flashier display for his collection: This climate-controlled carriage house has a rotating platform in the middle of a prefinished hickory floor that highlights more than a dozen classic and luxury cars. Designer Andrea Garrity hired M & M Carpets Inc. to install the floors for this project, but when faced with the rotating platform, M & M owner Robert Mitchell quickly subcontracted Schenck and Company. “He said, ‘My guys are good installers, but this is over their heads; you need to come do this,'” company owner Greg Schenck recalls. “There was a tilt to [the platform], and the recessed hole in the slab was not round, yet they wanted a flush, consistent reveal between the platform and the floor as it rotated.” The platform and the floor had to be shimmed to get rid of the tilt. Schenck and his team created two perfectly circular bands of unfinished hickory for the less-than-circular edges of both the platform and stationary floor around it. They then hand-scraped and finished the bent pieces to match the prefinished floor. The homeowners do drive the cars in their collection, but the wood floors seem to be tolerating their extraordinary traffic just fine, Schenck notes.